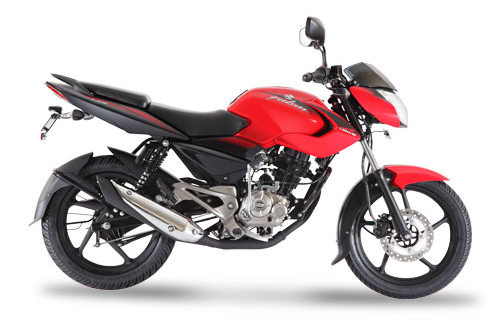 Specification Bajaj Pulsar 135 LS - Bajaj Pulsar 135 LS is one of the motor output Bajaj Auto class middle sports that is fully equipped with excellent features and modern with a sporty design. 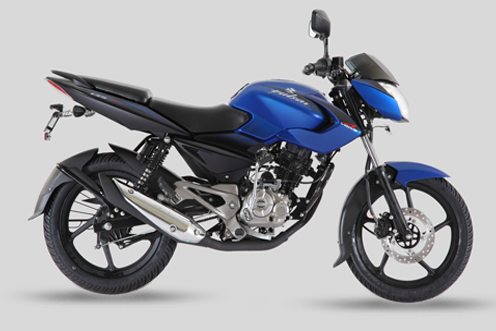 Bajaj Pulsar 135 LS carries naked bike design or without a fairing that is equipped with twin spark plug technology and 4 valve, which is the first and only one in the World. Bajaj Pulsar 135 LS engine carrying capacity of 135 cc single cylinder, SOHC air-cooled, 4 valve DTS-I which can produce maximum power of 13.5 hp at 9000 rpm and a maximum torque of 11.4 Nm at 7500 rpm. Performance: At the heart of the Pulsar 135 is an engineering marvel, the World's first 4 Valve DTS-i engine, which provides greater power and can be revved to much higher rpms without any engine strain. The bike boasts a power to weight ratio that is higher than some 150cc bikes giving the Pulsar 135LS the ability to go from 0 to 60kmph in 5.1 seconds and a fuel efficiency that is comparable to 125cc bikes. 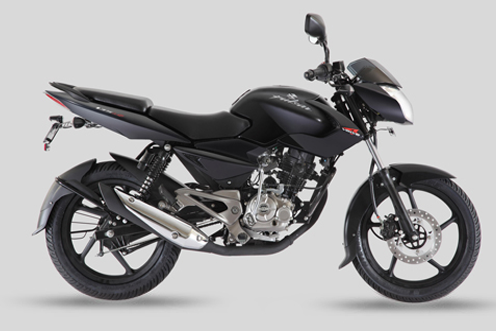 Comfort: The Pulsar 135LS is a perfect city bike that gives you great riding comfort and nimble handling in traffic. A good ground clearance, high power to weight ratio and upright seating posture makes the Pulsar 135LS ideal for navigating our cities. Safety: The Pulsar 135 LS is equipped with a 240 mm ventilated front disc brake to give it the added advantage in start-stop city traffic conditions. Styling: Pulsar 135 LS oozes style with its stylish rear LED tail lamps, sporty split-seats, split rear grab rails; there's nothing in the bike that goes unnoticed. 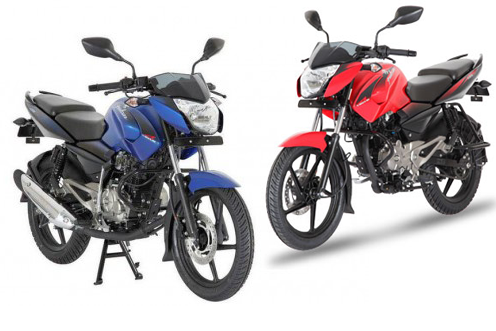 The Pulsar 135LS also boasts of a stylishly designed front headlamp with twin pilot lamps.